“DISASTER,” wrote Simba spokesman Haji Manara after their 1-0 loss to Mbao. “Not all white people are coaches, some are Jehovah’s Witnesses,” commented one fan, referring to Simba’s Belgian coach Patrick Aussems. Having nearly gone unbeaten last season, stumbling in the penultimate game against Kagera, a defeat to the young team of Mbao came as a shock to say the least. Rumours of a breakdown in relationship between assistant coach Masoud Djuma and coach Aussems since the start of the season haven’t helped matters with denials from the individuals and the club not helping in silencing the speculation. The club stated that Djuma didn’t travel to the Mbao game as he was working with the second team in Dar es Salaam, helping the reintegration of senior players Murshid Juuko and Haruna Niyonzima into the first team after they missed pre-season. Djuma is widely loved despite his short time at Simba due to his frank, straight-talking style and during his year as assistant, with two caretaker spells thrown in, he has very much looked like a manager-in-waiting. Manara was keen to point out that Djuma is always present on the training ground and him being absent on match days does not affect Simba’s performance. “Even if Mourinho, Wenger and Fabio Capello were our coaches, and we played Messi, Ronaldo, etc, up front and all the coaches were present, there will be days when Simba will lose or draw and some days the level of performance won’t be high,” said Manara. After ending last season wounded, Yanga have surprisingly returned rejuvenated though few neutrals fancied them for the title at the start of the season. The signings of Zanzibari midfielder Feisal ‘Toto’ Salum and Congolese striker Heritier Makambo were lowkey but have complemented a strong core that lost its way last season. Both have settled in quickly as Yanga have recorded four wins from four games. One of those that lost their way was Ibrahim Ajib, who started so brightly, and has done so again this season. The return of fit-again Amissi Tambwe has not only added an aerial threat but one of Tanzania’s best goal-getters in recent years. The re-signings of Mrisho ‘Uncle’ Ngassa, one of the league’s poster boys in the past, and Deus Kaseke were also on the cheap but astute as they can be very useful squad players and have given them flexibility in attack. Questions persist over the validity of their rejuvenation, though. All four of their games have been played in the National Stadium in Dar es Salaam, which has made them home games even if they’ve been, on paper, away games. They haven’t had to deal with the travels and tough conditions on the road that can test teams to the brim – indeed, they have tested Simba who have had to play three consecutive games on the road. Sunday’s game will also be in Dar es Salaam, of course. That makes it five league games in a row in the same stadium for Yanga, but this one should be more telling. By Sunday evening we’ll know whether the resurgent Yanga are contenders or pretenders. In Kelvin Yondani Yanga have one of Tanzania’s best centre backs in the last decade. Although 33 years of age he shows no signs of slowing down just yet. Nicknamed ‘Cotton’ for his reading of the game, he was fantastic in the 1-0 loss to Simba in April, sweeping up ever so smoothly, and he’ll be key if Yanga are to deny Simba. Simba have their own elder statesman in the Ivorian centre back Serge Wawa. Coming back from Tanzania after 2 years in Sudan with Al Merriekh, the ASEC Mimosas academy graduate was bought for his experience though from his performances so far it’s clear time is ticking. The Yanga forward line will provide him with his stiffest test. Both Kichuya and Ajib have a point to prove after they were shockingly left out of the national team squad by coach Emmanuel Amunike for the October AFCON qualifiers versus Cape Verde. Aged just 22, the diminutive Kichuya has forged a reputation as a derby specialist with countless memorable goals in the last two years that have often been decisive. Simba’s attack has yet to truly click after overloading their attack with summer signings, but few will bet against Kichuya on being decisive again. 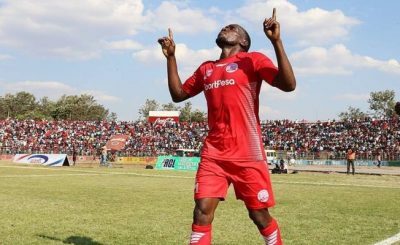 Around this time last year ibrahim Ajib ‘Ibracadabra’ headed into the derby being the talk of the country after a sparkling start to the season following a summer move from Simba. That form was not sustained and by the end of the season he, and Yanga, had faded badly. He has, again, started brightly this season, though it’s his final-third creativity, with sumptuous through-balls, rather than sheer goals that has shone. Meddie Kagere has blossomed despite Simba’s recent ropiness. He has showed the sort of hunger which saw Simba splash out for his services in the summer. At 31 he had to quickly hit the ground running and he has done just that by registering four goals in five games, and a goal in the Community Sheidl. With captain John Bocco suspended all eyes will be on Kagere. On the other side, Heritier Makambo arrived as an unknown signing from DR Congo but goals will be expected from him after quickly winning over the Yanga fans. ‘Makambovic’ has already formed an immediate understanding with Ibrahim Ajib, with the latter reading his runs and able to find him with quality balls over the top.